This presentation, originally shown at the SNAG conference in Portland, Oregon in May 2018, represents the talent, creativity, and hard work of students. We sought out powerful and inspirational images from students pursuing certificates, associates, bachelors and master’s degrees. What’s old is new again. Karma. Rebirth. Revival. 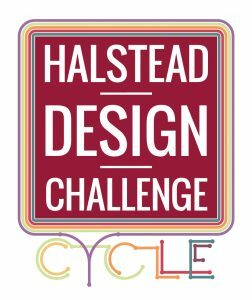 Any which way you want to look at the topic of CYCLE, explore the 2019 Halstead Design Challenge theme by playing with your ideas on continuity, loops or lifecycles! 2019 is a special year for SNAG as the organization celebrates its 50th anniversary. Such occasions are a time for reflection on the past and the future. Show us your interpretations of repetition or progression, fabrication techniques and creative use of a found object – all brought to life as a neckpiece or pendant! Help raise funds for SNAG while having fun! Proceeds from kit sales and a percentage of work sold benefits SNAG. SNAG is pleased to be a sponsor of the 2018 Triple Parade exhibition in Shanghai, China. 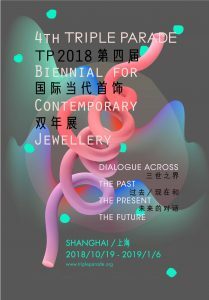 Triple Parade is a prestigious cultural project that has become one of the leading contemporary applied art and design exhibitions for expanding cultural exchanges between China and the rest of the world. This year’s theme is “Three Times: Dialogue Across the Past, the Present, the Future.” The exhibition takes place October 19, 2018 through January 6, 2019 at the HOW Art Museum. SNAG will celebrate its 50th Anniversary next year at the 2019 Chicago conference, The Loop: Coming Full Circle. 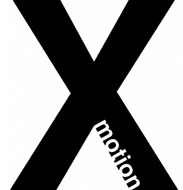 The Exhibition in Motion (EiM) committee is seeking works that reflect this milestone. The EiM is a runway-type live exhibition event that takes place at the conference. How do you see gold? Glitz, glam, indulgent, excessive, subtle or even demure? Gold goes beyond a material, it is a color, a signifier and a feeling. Translate the idea of gold literally, or let it transport you to a golden place.